Here’s a lesson pulled from the primary of 2008. I learned about this lesson when I first delved into the world of business success and self-help industry. Then I gained additional insight when moved into technical support and started my Dale Carnegie Training adventure. But this lesson spans the history of mankind and it’s extremely relevant today. Don’t criticize, condemn, or complain. When you do, you tend to point out your own misgivings and emphasize your competitor’s strengths. The presidential race is dominating our media. 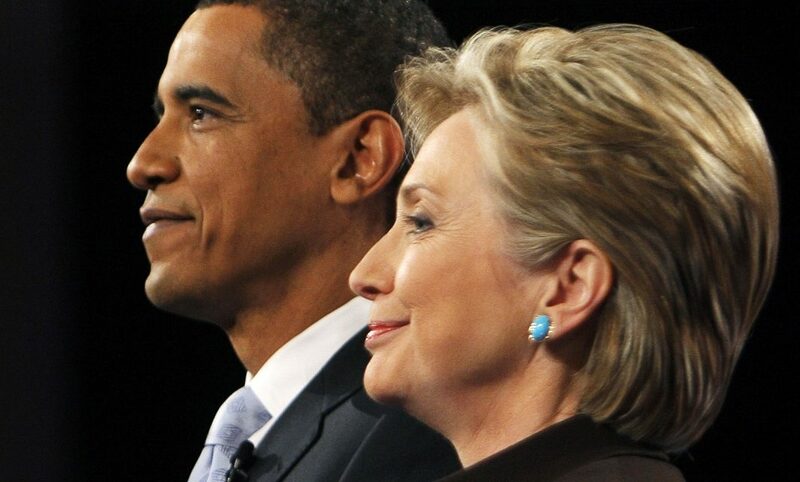 Both Barack Obama and Hillary Clinton are vigorously vying for our attention and our vote. Regardless of whom you choose to support, there are several success secrets that we can extract from this presidential race. The 2008 campaigns have reached a point where the candidates are starting to point fingers at each other’s real and imagined faults. However, one of the challenges with finger pointing is that when one finger is pointing at your opposition, there are three fingers pointing back at the source, exposing your own shortcomings. More importantly, you’re expending energy drawing attention to your opposition instead of focusing on how your solution solves the challenges. When I worked as a sales engineer in technology, we won several sales because of this mistake. I remember one of our sales reps, Richard, returning to the office with two systems engineers in tow. They were raving about an opportunity they had just closed for $200K. These guys were dancing around like a couple of cavemen after killing a giant woolly mammoth for the tribe. When I asked them about the win, they described some of the challenges they faced proclaiming it was a tough battle. They also said, only a month before they closed this deal, the client had never heard of us. The prospect had called one of our competitors to solve a particular problem. The competitor promptly engaged in criticizing us and talking about our shortcomings. This client told us the competitor talked about us so much that they had to investigate this “other company” themselves. After our first assessment meeting, the client decided to call us back in for a proposal request. Then, they decided to buy the solution that best solved their issues, which was our solution. If you have a product that solves a problem, or you run a company that resolves a set of issues, don’t waste your time talking about how the competition can’t step up to the challenge. You’re drawing attention away from yourself and giving attention to your competition. Your prospect may decide to test the competition themselves and you’ll lose whatever advantage you may have held. Use this success principle and “go high” – focus on your strengths, not their weaknesses. Back in 1932, when How To Win Friends And Influence People was first published, Dale Carnegie noted that in order to be successful, one of the things that we needed to do was to stop criticizing, condemning and complaining. We need to focus on solutions, not problems. And to be successful in sales, we need to focus on what we want to accomplish, not on our competitors misgivings. Take a lesson from Senator Obama, Senator Clinton, my former competitors, and Dale Carnegie. Focus on what you do best and focus less on the shortcomings of your competitors. Eventually, even your competition will promote you. P.S. If you are in the Central Valley region of the great state of California, get hands-on experience and coaching in using these success principles. Ask Paul Bagan about The Dale Carnegie Course today.